Home » Beauty » I am getting a lot of pimples on my face. Because of this there are scars and dark black spots on my face. Can it be cured by some home remedy? I am getting a lot of pimples on my face. Because of this there are scars and dark black spots on my face. Can it be cured by some home remedy? Many people do not know it but the first cause of the formation of pimples, acne or black spots on the face, is a high level of stress. This state is transformed into inflammatory pathways that cause acne outbreaks. There are also other causes that determine the pimples on the skin, menstruation, the make-up of irritating compounds, it is the use of medicines and even the genetics itself. Any way you have acquired a complexion marked by black dots, the truth is that they represent an unpleasant phenomenon, which can become a social problem, because people who suffer from pimples, feel, in many cases , rejection, shame and often have more than one drawback to relate to others. For this reason, this article brings you several ideas of how to eliminate pimples and improve the appearance of your face. A good exfoliation of the skin is a good start, of course it is better if it is not exaggerated. For example, you have to choose soft products and natural exfoliants for a procedure without risk of dryness. It is better to avoid those treatments with aggressive products that, in the end, can cause more irritation and inflammation than the one that was had, leading to acne breakouts and other conditions that would worsen the condition of the skin. A good diet can be vital to eliminate the pimples or at least to prevent their appearance. Although food can not directly cause acne, for many people the foods they eat are responsible for skin conditions. In any case, the ideal will be to maintain a balanced diet and as healthy as possible, that is, lots of fruit and vegetables, fresh foods, instead of fatty foods, full of oil or butter. Avoiding those kinds of foods that can affect your face, is a big step to eradicate skin problems. If possible, avoid the common practice of removing the pimple with the nails. Tighten or sharpen the skin to remove fat, can only result in a scar, redness, inflammation and even a greater infection in the skin, because the nails, in general, are dirty. What is recommended is to apply a hot compress to remove the pimples that will loosen the fat plug. Then you have to take two cotton flakes clean, to remove pimples, one is placed on each side of the black point, apply a smooth and uniform pressure inward. If a ball of fat comes out , it is carefully removed, if not, it is not touched, it is probably not ready to go out yet. To maintain a clean skin it is important that we clean it in depth, without irritating it, and be able to be with natural products for the skin, which have natural antibacterial properties such as lavender or tea tree . To maintain a healthy skin and prevent impurities, it is important to exfoliate the skin to eliminate dead cells, thus we will be able to regularize the excess of fat in our skin. I leave one of my beauty tips to minimize and in some cases eliminate acne spotsand acne scars. – Oat flakes : Oatmeal is widely used in natural cosmetics, helps the skin structure thanks to its PH (5.5) neutral. Among the dermatological properties that it possesses, it absorbs dirt from the skin and helps to detach dead cells. – Lemon: Among its properties cleans the skin and is a great astringent. It regulates the excess of fat that develops our skin. – Honey : It has bactericidal properties and acts by eliminating the bacteria that produce skin infections. This makes any acne treatment that contains honey, improve our skin and prevent the appearance of acne and pimples. – Tomato : It has astringent, refreshing, balancing and antioxidant properties. – Cucumber : Among its properties, it is astringent, moisturizing, refreshing and softening. 1 We will clean our skin. 2 In this step we will perform a natural exfoliation , we will take a handful of preferably organic oat flakes and 1/2 lemon juice. We will mix everything in the chopper or in the blender, we apply it in the face by means of circular movements. We leave it for 5 minutes on our face. With this step we get to remove the dead cells and open the pores. The lemon will leave our skin red, if we feel any discomfort we remove it immediately. In this step it is very convenient to make a small test with the lemon , before using it on the face. Perform a sample of lemon juice in the inner part of the arm, remove it at 5 minutes and wait 24 hours to see if the skin has any reaction, so we can see if we tolerate it, we must remember that lemon is an acid and sensitive skins do not tolerate lemon, if we notice itching, we remove it immediately with plenty of cold water. 3 º Apply honey, it must be warm to prevent our pores that are dilated by exfoliation, do not close. We apply honey with a tissue or cotton on the areas of acne scars or spots. We apply it for 5 to 10 minutes. If we feel discomfort or itching we immediately remove the mask with cold water. 4 ° We take 1/2 1/2 tomato and cucumber and crush, we applied the extracted juice as toner . We apply them for 10 to 15 minutes. Between step and step you have to remove the remains of ingredients from the face with cold water or wipes. This homemade mask is used to reduce or eliminate acne scars , it can be used once a week, but it is not good to combine it with any other treatment that we are using for the skin, we should not abuse treatments for facial skin. 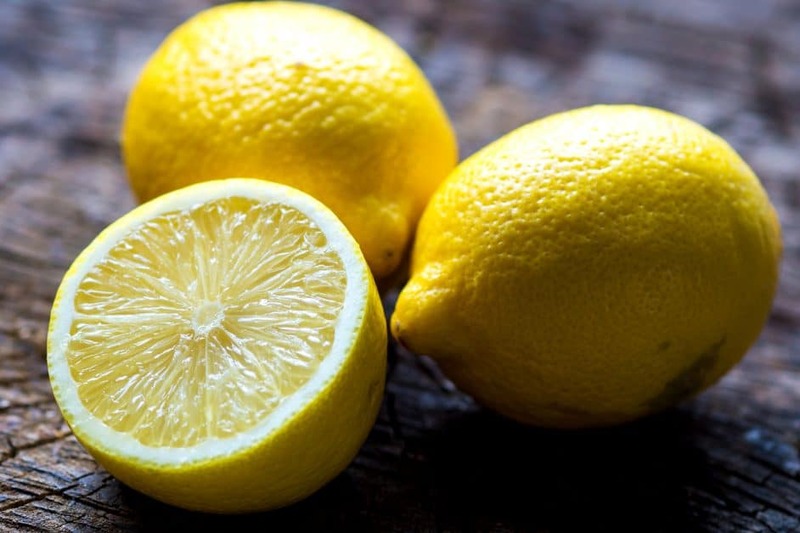 The treatment should not forget that it is a peeling , we will preferably do it at night , since it leaves our skin very sensitive, and when we use lemon it is not good to expose the skin to the sun. Natural cosmetic treatments are very effective, but the results depend on the type of skin and the consistency of the treatment, each type of skin is different in terms of time to see results. We must always listen to our skin and when we apply any treatment, if we feel discomfort, itching we should remove the mask immediately with cold water. We must remember that this mask is not a substitute for any treatment that we are carrying and recommended by a specialist, and that the results will depend on our skin type, age …… going to a specialist we will find the treatment that best suits our type of skin . Previous Post How do you get rid of burn marks on the skin using home remedies? Next Post How do I get rid of a skin itching problem?